In the old days of having to set up a workstation for face painting, it was painfully slow. Precious time was spent carrying a heavy and awkward table along with another case of supplies that needed to be opened up and organized on the table. Customers could be passing you by at shows or carnivals while you were setting up your artist workstation and find another face painting stand. Don’t let this happen to you! 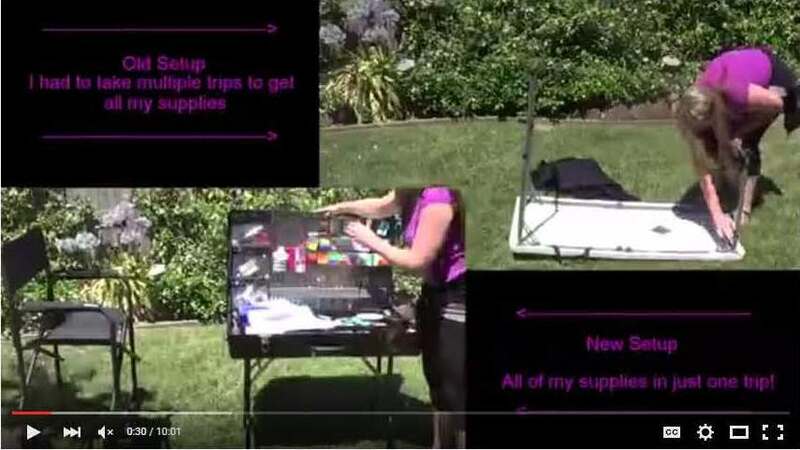 See how simple and time-saving it is to set up Craft ‘n Go’s craft workstation with all of your supplies. The legs of the workstation are attached to the case itself so there is no need to bring along a table and a box of your supplies. When everything is self-contained in a simple face painting kit workstation, you can get started on your crafts sooner than ever before. The legs on the workstation are adjustable as well, so you can add height or drop it down depending on if you want to be standing or sitting or any other preferences. An incredible benefit of this craft workstation is that the supplies inside are never tumbling around ending in a mess inside of the case. With past artists workstations, there was a chance of supplies opening up and spilling precious contents and could have a huge impact on the business of the day. With accessories like Velcro, “Pick & Pack” foam sheets, or metal bottom tray inserts, you can be sure that all of the contents inside are secure. 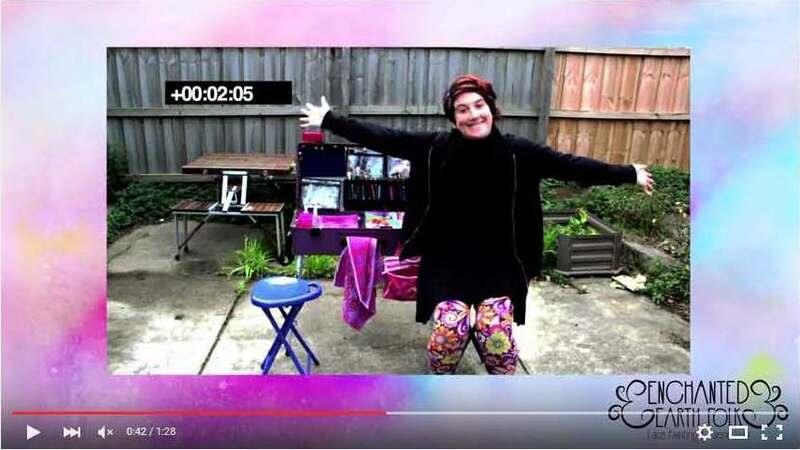 Watch these videos of crafters setting up their Craft ‘n Go workstation and see how easy and efficient the case really is! You will never go back to carrying multiple items to set up your face painting display and spending time setting up the station. To save time and make traveling with your supplies easier, order your craft workstation today.